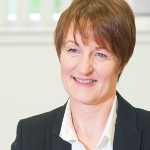 Pat is a qualified Chartered Legal Executive and joined Bermans in 1997. She works in our Litigation department and deals with a wide range of contract disputes and also property litigation matters (particularly Landlord and Tenant possession actions and Landlord’s claims for rent arrears). She has developed real litigation nous and is respected by clients’ in their own right, as adept lawyers in their fields.